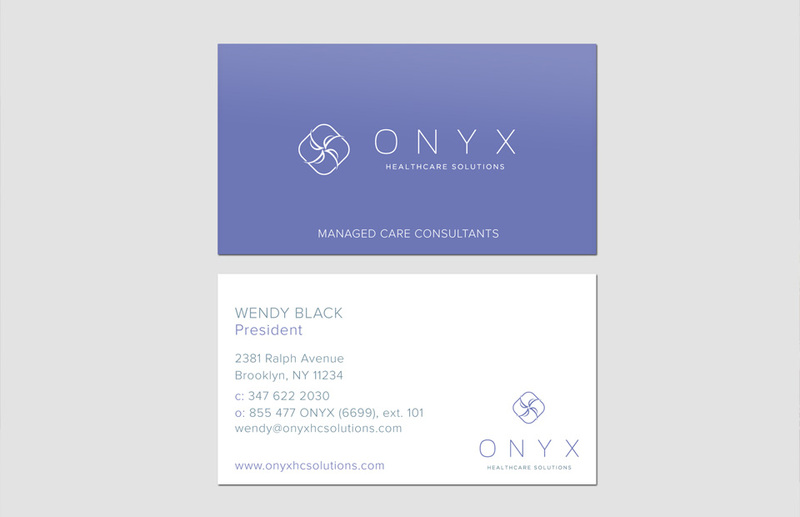 Onyx Healthcare Solutions is a prominent name in the managed care contracting industry. 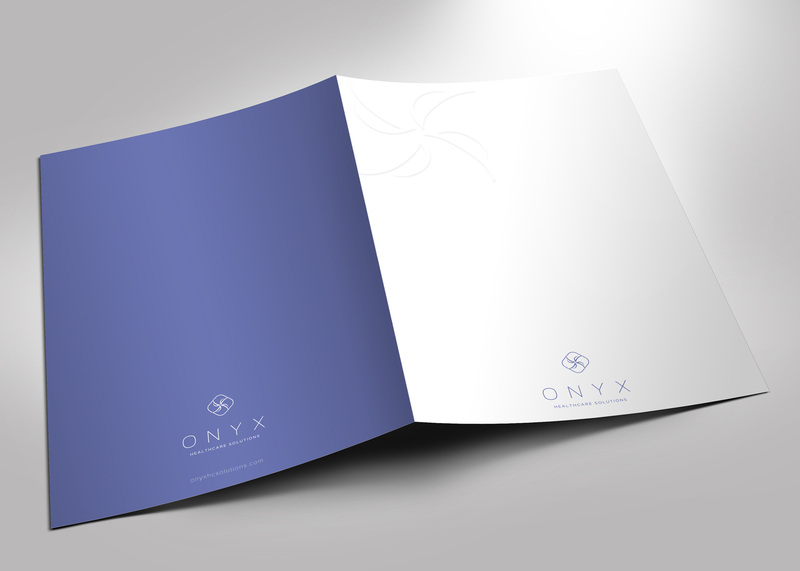 The stylistic symbol that we developed for Onyx is comprised of interwoven sections suggesting partnerships, possibilities and connections. The curved lines extending outward indicate movement, hinting at growth and innovation. The thin strokes of the symbol and thin typeface contrast with the solid bold mark for a logo that is edgy and progressive. The vibrant purple color scheme completes the brand with a unique and positive energy. 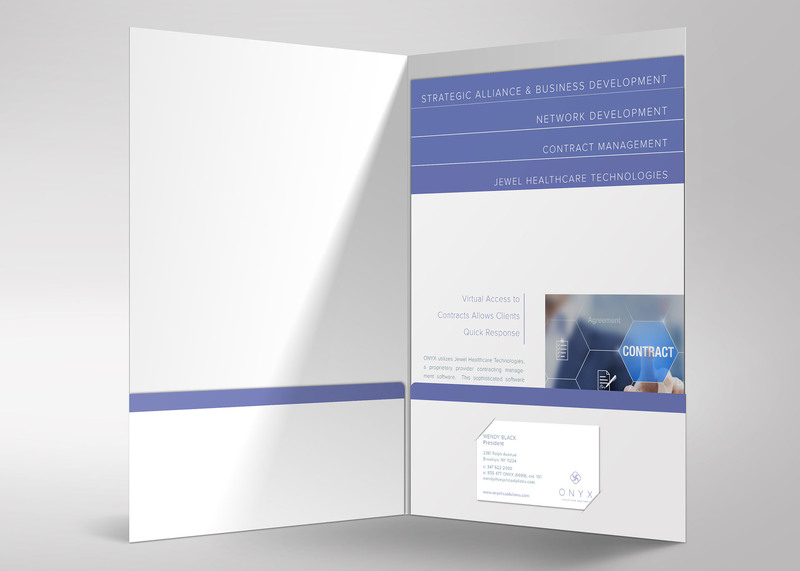 The complete brand identity package and marketing collateral perpetuate the modern and progressive brand message with striking, vibrant and clean design.